Turkey is a country where is located in both Europe and Asia continentals, mainly in Anatolia with a smaller portion in the Balkans. It is a republic. The area of the country is about 780,000 square kilometers. Its population is about eight million. I was born in this country, and I live here for now. In last decades, political figures are being got conservative in the reason of by clinging to the religion subject, and thus many things in the social, economics, education fields have been transforming to the same way. There is an election this Sunday for both President and Parliament. If Mr. R. T. Erdogan, who is current President, is elected he and his party will rule the country for the fourth time. 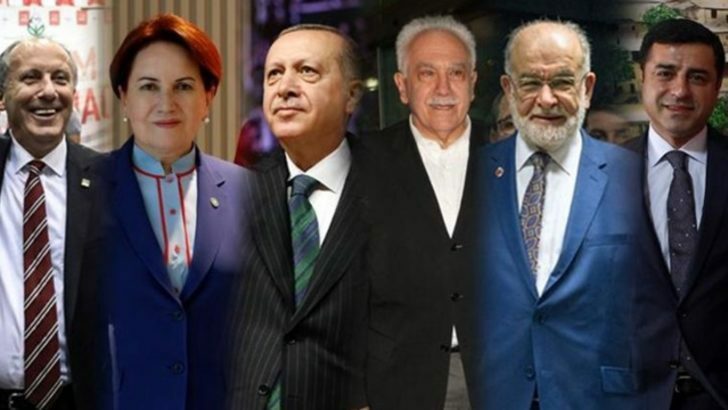 Other nominees are S. Demirtaş, M. İnce, M. Akşener, T. Karamollaoğlu, and D.Perinçek. This term election is more important in many directions. First, parliament system was changed in this term. We will not have a prime minister anymore after this election. The country is going to be ruled by mostly President and his team, which will be established by him. Second, parliament will have less authority, president and his team's decision power will be over of parliament's members on the contrary of prior system. My guess is that for tomorrow no one can win enough votes, and Mr. Erdogan and Mr. İnce will remain the last two nominees for the next tour which will be at 8th of July. We will see what will happen in the next post. I will take a writing essay exam in English soon. So, I thought that it might be a good idea writing about why writing seems hard to me. The answers should not seem so serious. Those are not my original ideas, just samples. Here is my question: Some people think writing an essay in a foreign language is hard. Do you agree with that statement or not? Please explain your answer with examples. People can express their thoughts, feelings and even sometimes a sense of humor in different ways of action. These might be writing, speaking, some physical movements like dancing, and some art activities like drawing pictures, taking photos or making crafts. Expressing themselves of people by writing is one of the hardest ways to show their thought or feelings to outside. Therefore, I agree with a given that statement. Some people consider that writing an essay in a language other than native is hard because of grammatical and reading problem. First, if people do not know enough grammatical structure of the language that they want to learn they have difficulty in writing. People might learn a foreign language in different ways. One of those ways is speaking, which means to speak to someone who is native in that language. People I have chatted on this subject before said that generally, they had observed the way of learning a language of kids, and then they consider that speaking is the easiest and fastest way of learning a new one. However, speaking does not include so much structure of grammar of the language. That is, people do not pay attention to the order of the sentence, so, for this reason, they cannot write properly. Because writing act requires a good grammar knowledge. Second, reading is an essential part of good writing. Reading is a kind of teacher of language more. People who do not read enough often cannot control language and so, they cannot write down in a good way. Their memory gets weak and they cannot remember even simple daily words. Also, reading improves our knowledge of any kind of subject. When we read a book we see another world. So, we do not have any trouble remembering of different fields. People are not reading often or enough these days, and this negative habit causes not to write down good and clear. All in all, writing seems difficult for many people, because they do not know the structure of grammar that they want to know. Also, they do not read so they do not have a control over the language. p.s. : Could you grade this essay between 1 to 9, if you want to read. Thank you. Tonight, A terror attack has been made at the Istanbul airport. Until now, forty-one people have passed away, and two hundred thirty-nine people have been wounded. Someones have ended of life of 286 people! It is not known numbers of wounded people exactly. It is thought that it may be about one thousand. It is not reached numbers of people who serves as caregivers in the family of dead or wounded people. It is not known numbers of animal injured or dead. It is not known numbers of goods, possession, serving which is ended. In the late 1960's, a psychologist named Walter Mischel conducted an experiment on a group of four-year olds. He gave each child a marsmallow and told them that if they don't eat it and wait for him to return in the room after 20 minutes, he would give them another one as a reward for being patient. Some children ate the marsmallow right away while a number of them were able to resist the temptation and waited. Fourteen years later, Mischel followed up on the children. Those who couldn't wait suffered from low self-esteem and was regarded by their teachers and parents as stubborn, prone to envy and easily frustrated. Meanwhile, those who did not eat their marsmallows were more self-motivated, educationally successful and emotionally intelligent. This study proved that people who believe in delayed gratification for better returns lead more positive lives. "Deferred gratification or delayed gratification is the ability to wait in order to obtain something that one wants. This is known by many names, including impulse control, will power, and self control. In formal terms, and individual should calculate present value of future rewards and defer near-term rewards of lesser value. Research has shown that animals do not do this, so this problem is fundamental to human nature. Conventional wisdom considered good impulse control to be personality trait important for life success. Daniel Goleman has suggested it is an important element of emotional intelligence. People who lack this trait are said to need instant gratification and may suffer from poor impulse control. Almost everyone, every day, practices delay of gratification-whether deciding to skip dessert in order to lose weight or give up smoking in order to live longer. The ability to delay gratification is often a sign of emotional and social maturity. Young children, for example, find it more difficult to delay gratification than older children. When kindergartners in one study were offered a choice between getting a small candy bar immediately or a larger one later, 72% chose the smaller candy bar. This number decreased to 67% among first and second garders and 49% for third and fourth graders. By the fifth and sixth grades it had fallen to 38%, nearly half the rate for kindergartners"
This blog is about what happened today. I know that what is made cannot be unmade. But, I thought that if you understand what happened today, perhaps you can help yourself, help to your evil side. Because, in the future, as it is now, our faith in hope of the good side will never die. Because a half cannot hate what truly makes it whole. So, this blog aims that to give readers information about what is going on in today's world. I would be appreciated if someone who is a native English speaker could evaluate my posts in the grammar or writing style. copyright www.buyulugerceklik.com. Simple theme. Theme images by blue_baron. Powered by Blogger.